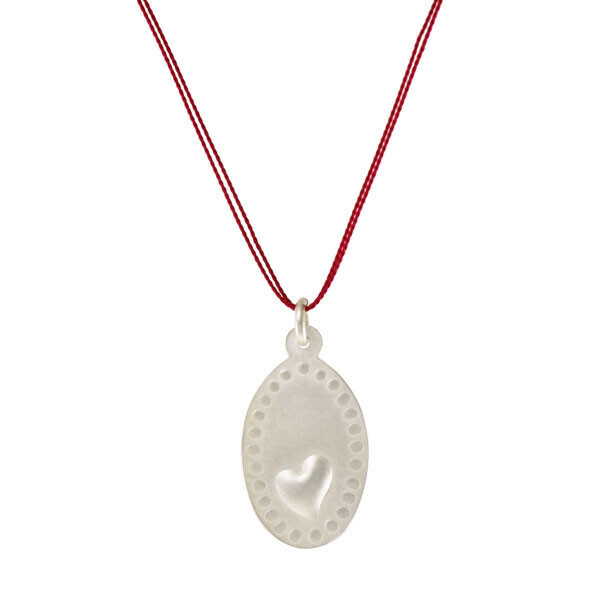 Hand-minted from 925 sterling silver, every piece turns out slightly different in this process, which makes it unique. 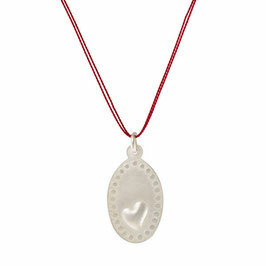 The oval heart pendant hangs on a natural silk cord, clasped with a silver karabiner. Cords are available in different colours.